Wireless technology is something that we all get in contact with dayly. The kids that grow up today will find it totally normal and I don’t think they can even imagine a life without it. It has made a lot of things easier, like reading and learning about new stuff around the globe via the internet. People interract and create new connections and friendships all the time. So, what is wireless technology? 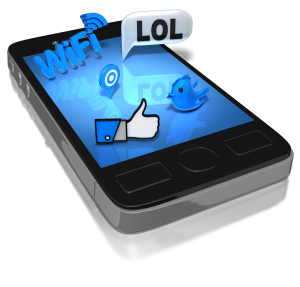 One big benefit with wireless technology is that it is easy to use and a lot of mobile devices are prepared for it. We can walk around anywhere and still be connected to the internet. The radio waves don’t reach very far by themselves. It also takes longer time to send information through the air than it does through a connected fiber cable. Radio waves are also sensitive for disturbances and the information can be listened in to. Wireless devices consume more electrical energy if you compare to a device connected with a wire. There are several wireless technologies that we use today, i.e. satellite communication, GSM (Global System for Mobile communications), Wifi and BlueTooth. How would you explain it for your kid? I would love to hear about some of your ideas, just leave a comment below! While wireless technology has a lot of good about it, young kids are probably the most vulnerable. I would tell them about the health risk of too much exposure to these products and work out a limited time use with them. It’s important that they learn how to use the phone safely for example, and also discourage placing portables on the lap. Yes, I think we as parents really have a great responsibility to guide our young ones to healthy behaviours in all aspects of life.